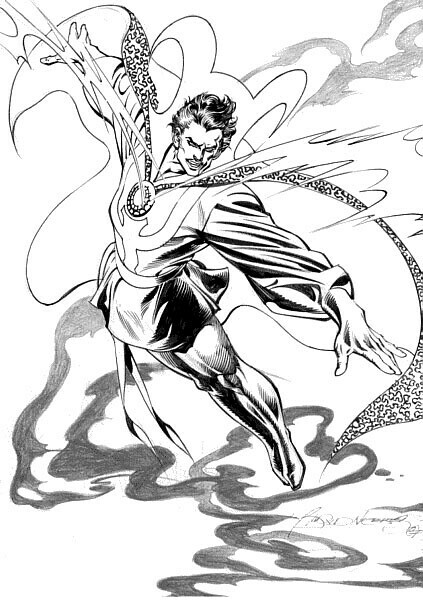 A cool pinup by Rudy Nebres features Doc levitating among an ethereal plane. Sorry, I don't remember the site where I collected this pinup. Nebres fans may also want to check out my article Enter the Iron Fist for a cool splash page by Nebres. Nuff Said!